Enjoy the fire and the dancing flames in an entirely new way! 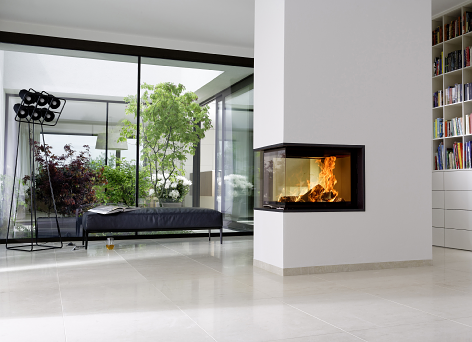 With its uninterrupted, 3-sided glazing, the Morsø S-160-32 is the closest you can get to an invisible stove – visually an open fireplace. Morsø S161-32 is the large elegant room divider that creates a perfect atmosphere and comfort. The fire and the large flames form the natural gathering point for family and friends. Children coming in from outdoors in wintry weather will gravitate to it to warm their hands and feet, while adults will let peace descend and enjoy the therapeutic effect of the fire. 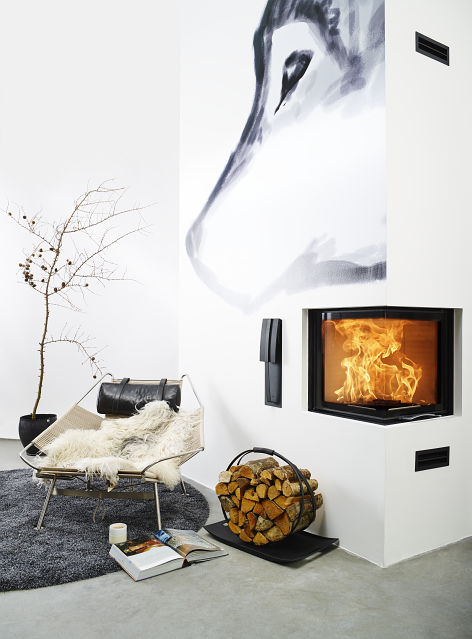 With this innovative firebox, we have created the optimal combination of design, function and quality. 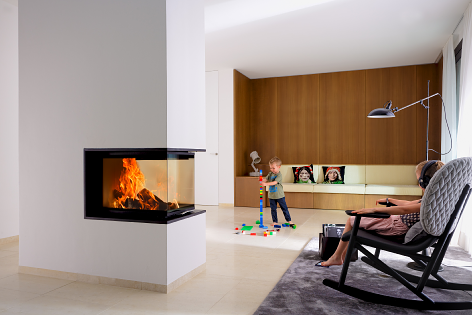 Here you have an exclusive fireplace, impressing with its decorative and spectacular view of the flames, and where your whole family will gather in warm well-being. S161-32 is available with an attractive closer with a rise-and-fall function.